A van caught fire outside Ħamrun's Immaculate Conception parish church this morning, with a 59-year-old who tried to put out the flames suffering grievous injuries in the process. The Citroen Berlingo went up in flames at around 8am, with police and Civil Protection Department members quickly called to the scene on Triq Manuel Magri. 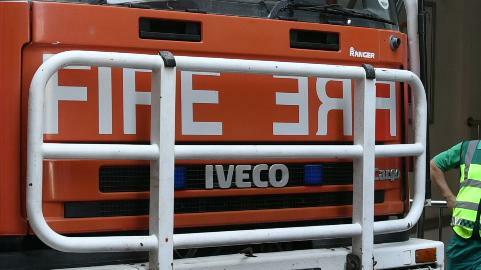 A 59-year-old Pieta' man was taken to hospital after he was grievously injured while trying to put out the fire. The road was temporarily closed to traffic and magistrate Ian Farrugia has opened an inquiry into the incident.